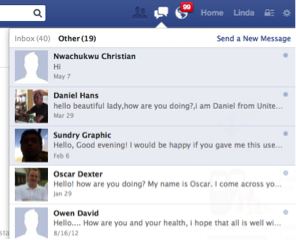 Have you ever noticed the ‘Other’ folder on your Facebook message page? If you are like me, you are probably thinking what ‘Other’ folder? What happened to just my regular Inbox? I did some research and found that when someone sends you a private message it is sent to one of two places: your Inbox folder or your Other folder. The Inbox folder is reserved for messages sent by friends you are connected to, while your Other folder is where spam and messages from those you are not friends with are routed. The Other folder is ignored by some users and its existence is completely unknown to others. 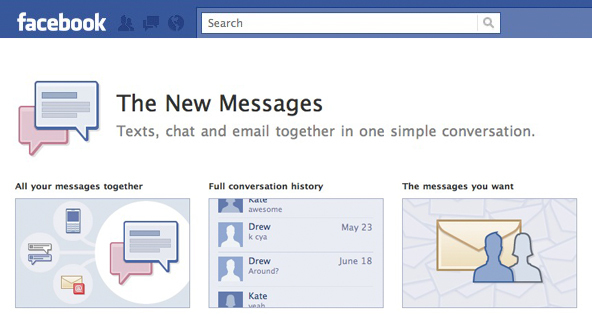 Facebook released an update in 2012 to its messaging system (that I feel was largely unnoticed by the majority of its users) that allows people outside of your network to send a message directly to your Inbox for a small fee. For twice the price of a postage stamp, users are charged $1 for every message they want to send to non-friends hoping it will get noticed. Although the Other folder has been in existence for some time, it cannot be accessed on your mobile app, which is why most of us have never heard of it. While this opens up another avenue for Facebook to make an extra buck, it also opens up the doors for stranger danger. Facebook hopes the $1 charge will discourage spammers and therefore, decrease the amount of ‘junk’ mail that is sent to you. It will also allow you to send a message to someone you, for example, saw speak at a conference you attended or a potential employer about a job opportunity. You can connect with those who may have been out of your reach, so to speak. Also, it may give long-lost friends or relatives a way of getting a message to you that was previously blocked to them. If nothing else, it may finally give you the opportunity you have been waiting for to ask out that cute girl or guy in your class you have been pining over all semester. For more from Innovative PR, “like” us on Facebook , follow us on Twitter! Does Facebook’s acquisition of WhatsApp make sense?